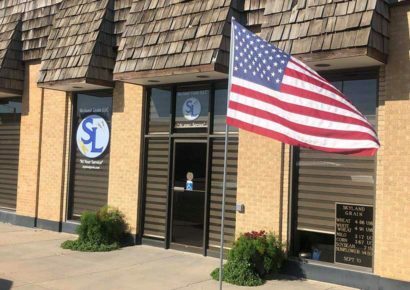 With roots from one of our parent companies dating back to 1915, Skyland Grain, LLC is a grain farmers’ co-op providing producers with the supplies and services their operations need to succeed today and in the future. Skyland Grain, LLC, with cooperative roots from 1915, is headquartered in Johnson, Kansas, and began operation August 1, 2004, with Johnson Cooperative Grain Co. and ADM Grain Co. as the founding parent companies. On February 1, 2010, Syracuse Cooperative Exchange also became a part of the joint venture, followed by The Cairo Cooperative Equity Exchange on May 1, 2015. 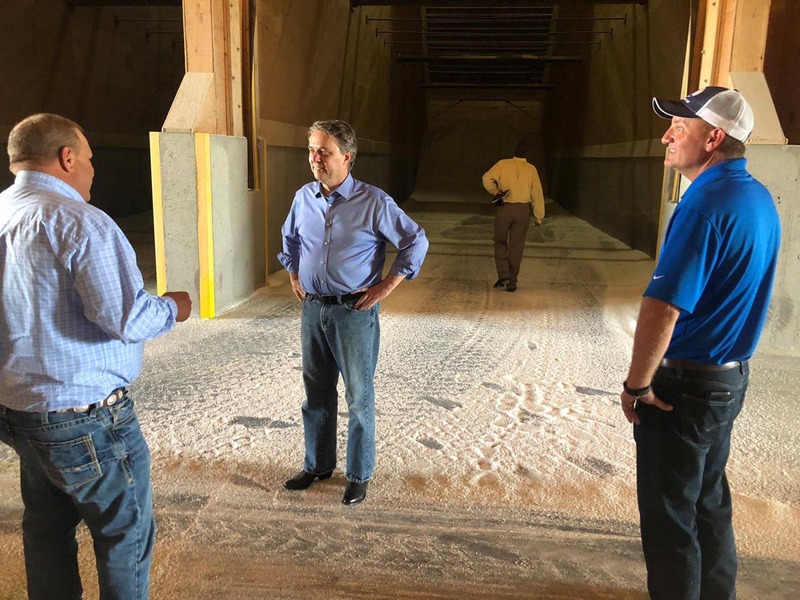 The three co-ops came together in 2017 to form Skyland Co-op, Inc.
Today, Skyland Grain, LLC operates grain receiving facilities at 27 locations across Kansas, Oklahoma, and Colorado. 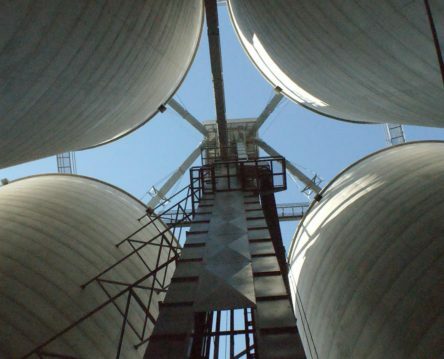 They have a total licensed grain storage capacity of over 55 million bushels. 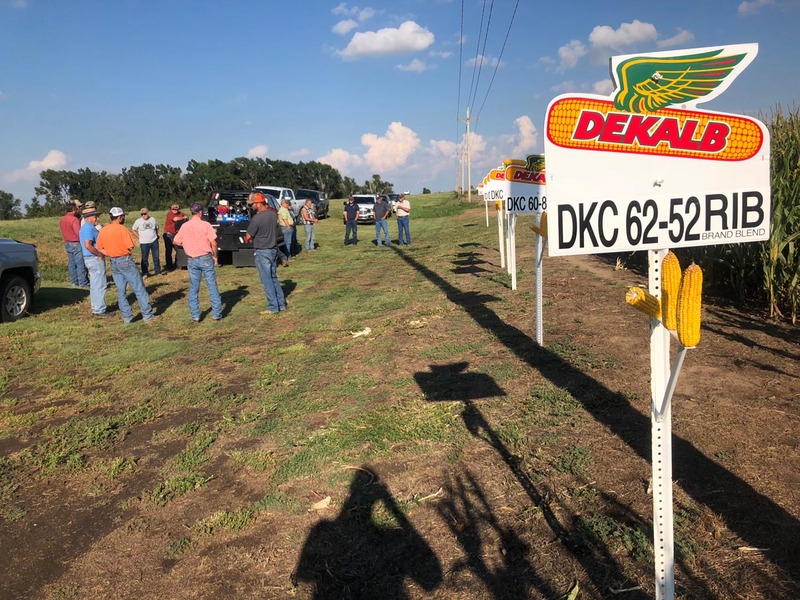 Additionally, Skyland Grain has a full-service agronomy department that provides bulk liquid, dry, and anhydrous ammonia fertilizers, chemicals and seed, as well as custom application for fertilizer and chemicals. On June 18, 1915, the farmers of the Cairo Community joined together and formed a cooperative. At that time, there were no other cooperatives in the vicinity and very few in other areas. 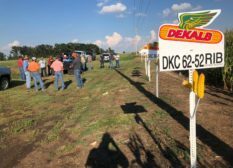 The area farmers saw an opportunity to increase their returns by joining together and marketing their grain cooperatively. The Board President was John McGeffin. Their first act of business was to buy out a private elevator belonging to E. B. Sitton, which included a small elevator with a capacity of 3,500 bushels. There were 50 members of the cooperative that contributed $100 each. The first manager was Benard McGafin. After the cooperative started to grow, many of the local farmers started to notice their success. Their next venture was to build an elevator in the Waldeck area where there was an independently owned facility already owned by the Barkers. Instead of building a new facility, the Barkers agreed to sell their 5,000 elevator to the cooperative. After Benard McGafin, there were locals from the community to serve as manager. Guy Sitton, George Rosenbaum and Marion Williams to mention a few. Johnson Co-op Grain began in the 1930s with storage of 18,000 bushels. The Co-op decided it needed to start updating facilities to handle their crops, so in 1942 they built a 103,000 concrete elevator for $26,000 at Cairo. In 1944, there was a growing demand for service in the Big Bow area. The need was met by buying the facilities of a small elevator and hardware store. In 1947-48, the Cooperative had to meet a demand for elevator service at Manter. As a result, a new concrete 80,000-bushel elevator was built and the service station business was added. The super service station was built in Johnson in 1948. In 1951, they added a feed grinding facility at Waldeck and eventually put in a roller. Also in 1951, the Co-op built a 100,000-bushel elevator at Cairo for $82,237.00. In 1953, another 221,000-bushel elevator was added at Cairo to keep up with the demand. In Johnson, the fertilizer department was added in 1959. A new concrete elevator was built in 1959 at Saunders and also included a service station. In the fall of 1975, the Co-op built a million bushel elevator in Johnson. In 1976 a new annex was added in Cunningham, making it a 550,000-bushel elevator. Dale Parson became manager on March 1, 1960, and was there 41 years until his retirement on February 28, 2001. During Dale’s career with the Cairo Co-op, he saw many changes and substantial growth through the years. On February 1, 1988, the Preston Co-op merged with the Cairo Co-op bringing along the Preston and Turon locations. Another merger took place February 18, 1988, with the Penalosa Co-op bringing in Penalosa, Brown Spur and Calista into the group. In 1992, several Co-ops in the area including Cairo went together and formed Co-Mark Inc. which was a purchasing group. Finally, in 1994, Arlington merged with Cairo bringing the total location count to nine grain elevators. In 1999, Cairo Co-op and Farmers Co-op of Garden Plain purchased a 2 million bushel elevator in Wichita forming CCGP. Cairo Co-op Manager Dale Parson retired in 2001 and was succeeded by Ed Laing (2001-2007). Another joint venture between Garden Plain and Cairo Co-op in 2003 formed Prairie King LLC but was only in operation until 2007 and was then sold to Garden Plain. 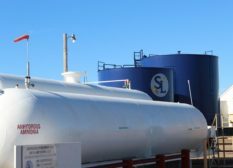 In December of 2005, Cairo bought into a joint venture named Hutchinson Fertilizer LLC. The facility is owned by Cairo Co-op, Garden Plain Co-op, MKC and ADM. This facility has given them opportunities to buy in larger quantities. Looking forward to aging facilities, the Cairo Co-op has built two new elevators within the past several years. 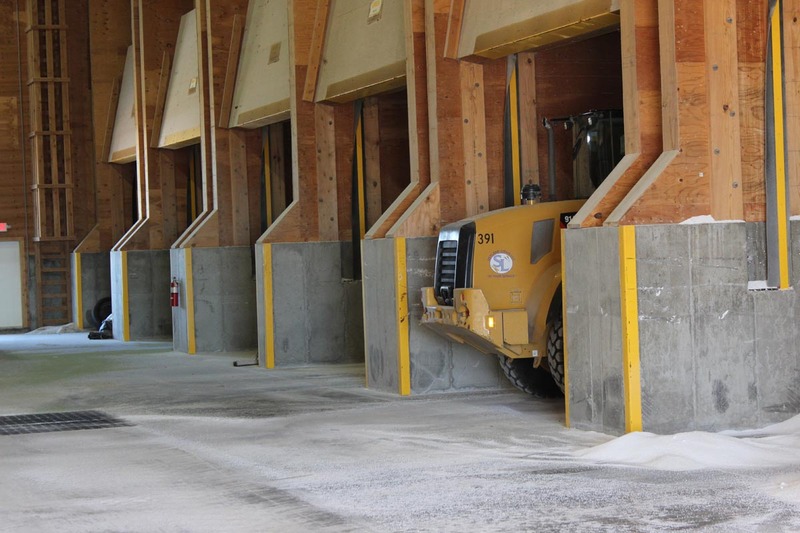 In 2005, Calista South was built with a capacity of 300,000-bushel legging capacity. Kent Domsch was the manager of Cairo Co-op from 2007 to 2013. 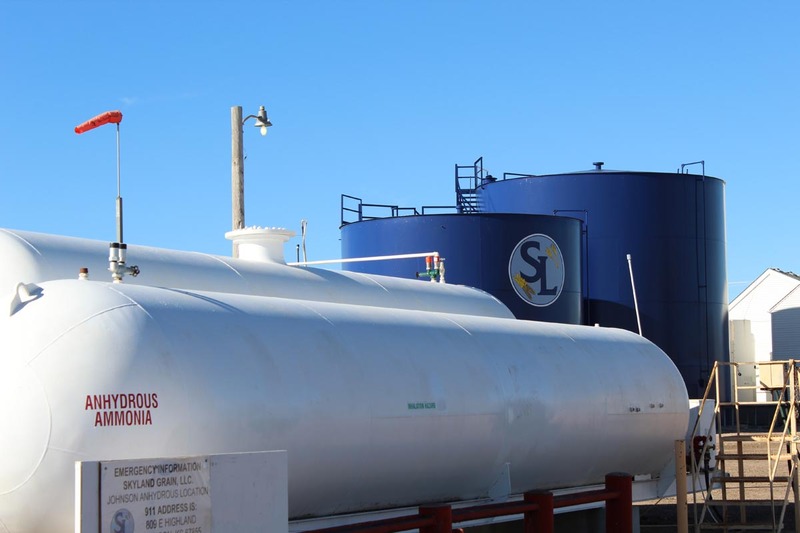 In March of 2008, Skyland Grain became part owner of the Sante Fe Trail Grain Terminal LLC. The shuttle loader can load 108 rail cars. Additionally, Co-Mark Grain was formed. 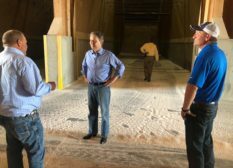 In June of 2009, we purchased facilities in Elkhart and Rolla from Cargill, increasing our storage by 2.7 million bushels. On February 1, 2010, Syracuse Cooperative Exchange became an owner and partner of the joint venture. Then in 2013, a new facility was built one-half mile north of Preston. It has a 600,000-bushel capacity with 40,000-bushels per hour legging capabilities. Additionally, Co-Mark Energy was formed. David Cron became the CEO in 2014 and is also assisted by the Board of Directors. The current Board is made up of five local Patrons. They are John Steffen (Chairman), Kenny Bock (Vice President), Gary Barker (Secretary), Steve Freund (Director) and Jared Glenn (Director). In February 2015, Cairo Co-op sold its half of CCGP to Farmers Co-op Garden Plain. On March 31, 2015, the Cairo Co-op exited all of the Co-Mark companies. Cairo Cooperative Equity Exchange became an owner and member of Skyland Grain LLC on May 1, 2015. Syracuse Cooperative Exchange merged into Johnson Cooperative Grain Co. on February 1, 2016. Cairo Cooperative Equity Exchange merged into Johnson Cooperative Grain Co. on January 31, 2017. 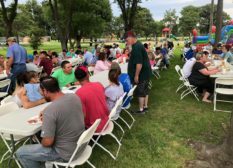 At the annual meeting in May 2017, the membership unanimously approved to change the combined cooperatives’ name to Skyland Co-op, Inc. Today, Skyland Grain, LLC operates grain elevators in Kansas, Colorado and Oklahoma. We have 21 locations in Kansas, three locations in Northwest Oklahoma, and four locations in Eastern Colorado. 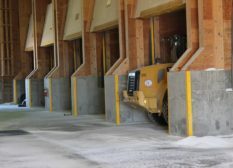 When you add all locations together, Skyland Grain has a total licensed grain storage capacity of approximately 55 million bushels.